The flyback function is a means of timing a second interval when the chronograph hand is still running and without having to stop the counters first, simply by pressing the reset pusher. This sophisticated mechanism, which in its most noble form incorporates a column wheel, is brought to us by the new Manero Flyback. Proposed in stainless steel or in 18k pink gold, this elegant timepiece sports mushroom-shaped pushers which accentuate the enduringly classic style for which the Manero collection is known. Hour-markers and sword hands in the same metal as the case, together with the delicate minute track, lend a final flourish to this watch's aristocratic air. 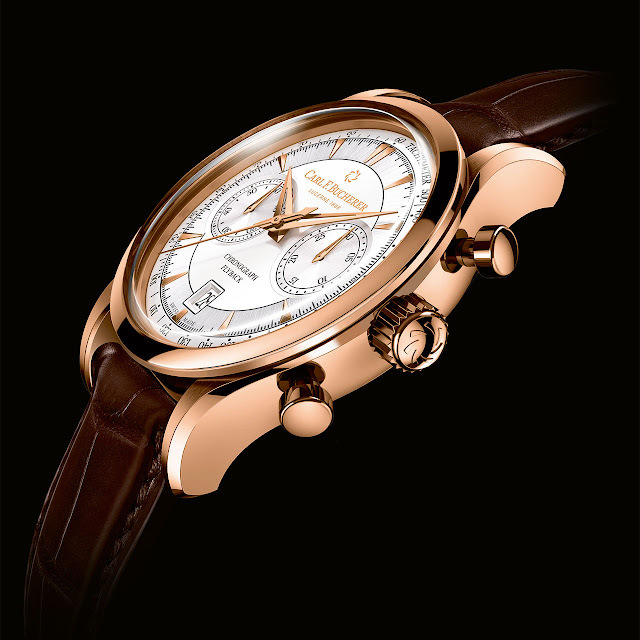 The Manero Flyback will undoubtedly win over any admirer of fine mechanical watchmaking. 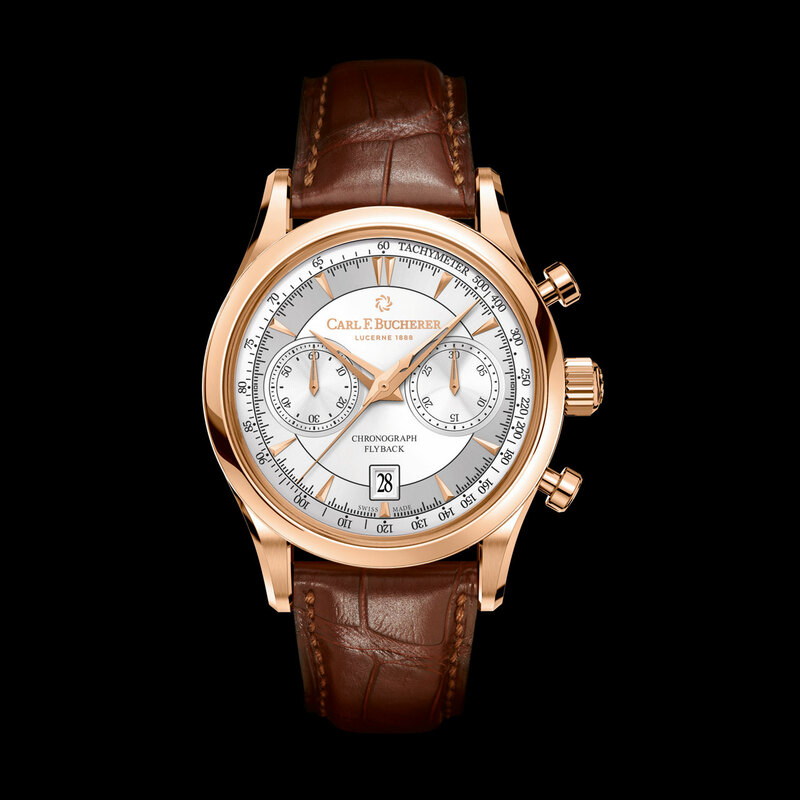 Mechanical automatic, CFB 1970 calibre, 25 jewels, 42-hour power reserve. 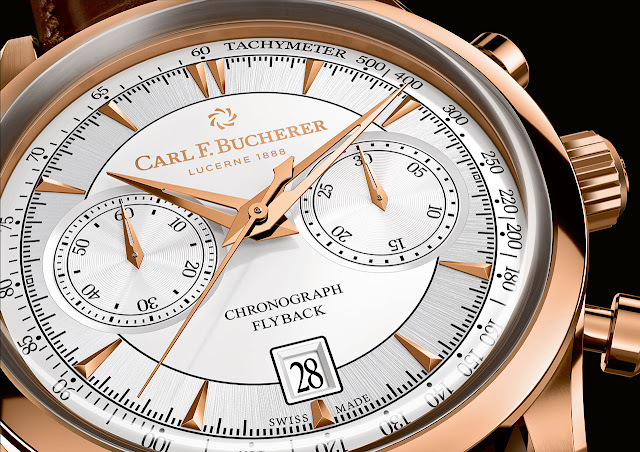 Hours, minutes, seconds, date, flyback chronograph, tachymeter. 18k pink gold or stainless steel, 43 mm. Anti-reflective sapphire crystals, front and back. Water-resistant to 30 metres (3 bar/100 ft). Silver-toned, hour-markers and hands to match the case. 30-minute counter at 3 o'clock, date at 6 o'clock, small seconds at 9 o'clock. Brown Louisiana alligator, 18k pink gold or stainless steel buckle.